Use the new slider interaction in Articulate Storyline to let learners manipulate data, explore cause-and-effect relationships, or control other objects in the course. 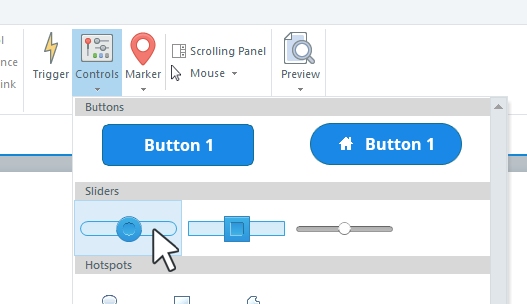 Go to the Insert tab on the ribbon, click Controls, and choose one of the slider types. Click the slide where you want the slider to appear. 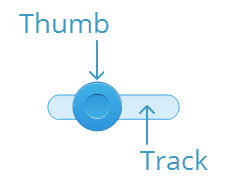 To resize the whole slider (track and thumb), drag any of the corner sizing handles. To change the length of the slider track, drag the left or right sizing handle. To change the thickness of the slider track, drag the bottom yellow handle up or down. 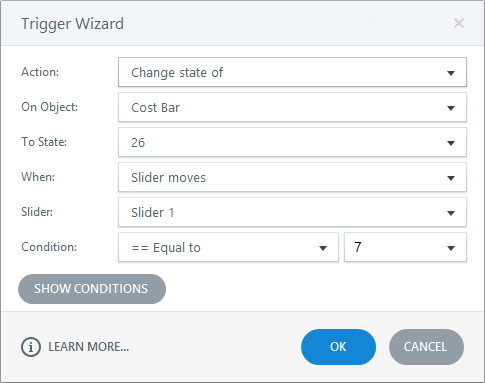 To control the behavior of a slider, select the slider, go to the Slider Tools—Design tab on the ribbon, and adjust its Slider Properties. Update: This controls when the variable is updated. You can update the variable as the learner is dragging the slider (which is the default setting) or only after the learner releases it. There may be times when you want to display the value of a slider in a text box or shape. You can easily do that by adding a variable reference to any text element in your course. When the learner drags the slider, the value that's displayed in the text element automatically updates to show the value they selected. Generally, you'll want to perform one or more actions based on the learner's interaction with a slider. To do that, you'll need to add triggers that execute when the slider moves or the variable changes. For example, you might change the state of an object when the learner drags the slider. The colors available on the Format tab are based on the theme colors for your course. To customize them, see this tutorial.